But as we explored the market, the need for a solution in this space kept presenting itself. Growing the number of visitors, leads, and customers is a goal shared by thousands of companies HubSpot reaches every day. But many of them don’t use the core, modern tools to engage with those prospects effectively. These companies are relying on email, spreadsheets and their memory to move their deals through the sales process. They simply don’t have a CRM -- and they should. We found that cost and complexity were the big inhibitors of adoption. From a culture perspective, giving the CRM away for free wasn’t a crazy idea. Our overarching mission is to solve for the customer and the entire inbound movement is rooted in the idea that the size of your brain matters more than the size of your wallet. We didn’t want a product that would only be valuable to our existing marketing customers or to companies with big budgets; we wanted one that would empower any business to grow. The simplest way to remove any barriers to smarter prospecting was to make the CRM free to everyone. Delivering on our promise of helping businesses grow sounded great, but we needed to know that this idea would work from both a cultural and business perspective. Could the CRM actually work as a free model? 1. There needs to be a ‘simple promise’ that’s widely applicable. For free products to work, the value proposition needs to be incredibly easy to understand. You shouldn’t need a sales person or expensive marketing campaign to articulate it; this is the simple promise you’re making to customers if they use your tool. This promise also needs to be widely useful. How’d we do? The CRM is a simple sales platform to help you grow your business. It’s a product that every company with a sales funnel needs. That's a simple promise for a mature, well-understood market. 2. The product must be easy to adopt. We built this initial product for people that aren't already using an existing CRM. To turn non-consumers into consumers, it had to be easy for them to sign up, get familiar with, and start using right off the bat. It had to have a great ‘single player mode’ so that one person could sign-up and start seeing value. If you have a free product that requires sign off from the CEO to use, it’s going to be impossible to get traction. How’d we do? This has been the most difficult test for us to pass. Most CRMs take months to setup. There’s an entire consulting industry built around helping companies build and optimize their CRM implementation. We need to radically avoid this standard, and we continue to make strides here in combination with our Sidekick product. 3. There must be a path to monetization. The allure of free products are seductive but rarely profitable. Free lowers the barrier to get started and is the path to massive, massive adoption. This can lower the cost of acquiring customers (CAC), but the economics need to work in creating and sustaining the lifetime total value (LTV) for those customers. Simply put: there needs to be a path to profitable monetization on a per unit basis. How’d we do? We have a unique opportunity to monetize the CRM effectively for two reasons. First, because we already have thousands of customers on our platform, we’ve solved many of the cost and scaling issues that would otherwise make delivering a free CRM cost prohibitive. Second, we already sell software. Our inbound marketing platform is an effective way to get more leads into your CRM, and works great with the CRM. It’s a great upgrade path for CRM users creating sustainable LTV. 4. There should be benefits to wide adoption. Free models can work as a step in the sales cycle, but typically aren’t as effective as free trials or other inside sales models. However, that changes when the value of adding more free users increases value for the rest of the user base. Said differently -- free makes sense when there’s a network effect. How’d we do? One opportunity we’re excited to explore is the benefit the free CRM user base will have on our integration partners. While adding more users to the CRM doesn’t have direct impact on other users, it creates more opportunities for us to attract meaningful partnerships that then create value for our users. It could become a virtuous loop, like we’ve seen with our marketing platform. It’s early but we’re excited about what the future can hold here. While our CRM passed the test, the opportunity for free wasn’t obvious; the answers above are not without holes. These concerns (and more) were brought up during the hardest part, arguably, of getting an unconventional idea off the ground: getting the rest of the organization on board. At most big companies, this is when a lot of bold decisions get watered down. Getting everyone bought in on a big (and potentially risky) idea at a small startup means you have to get a handful of stakeholders, or less, on the same page. But as that startup grows to 100, 200, or even 800 people, the chance that every leader across the company will be in favor becomes less and less likely. In this environment, remarkable ideas turn into average solutions as you tweak and tweak them to satisfy every concern and objection. These are what we call uninspired compromises. When we proposed giving the CRM away for free, nearly every leader across the organization had a good reason for why it could be problematic for their department. Finance, sales, services, and beyond could make persuasive cases for charging for the product. So, we focused on articulating the vision, assigned an owner to the decision and opted to make an inspired decision. By applying those four free criteria to the business and tying the idea back to our overall mission of solving for the customer, we were able to take a remarkable bet and truly solve for our customers. 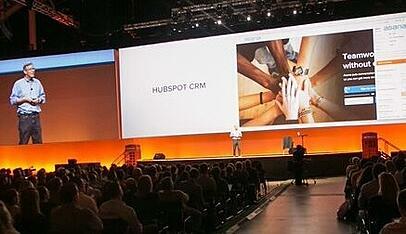 We’re excited about the response from our early users and to see more and more businesses grow on HubSpot’s free CRM. Thank you to our customers, users, and community for helping us reach this milestone with our sales products!